This space is dedicated to the award of medals and ribbons of OPRF members, starting today. If you have in comment about it, please post it in the "CRITERIA" section. AWARDED TO: Leto, pinto (2x), J Maverick 16 (2x), YV-187, fb237, G-UNTER. AWARDED TO: Leto, pinto, Sierra, J Maverick 16. AWARDED TO: pinto, Raider1, Leto, YV-187, Sierra, fb237, J Maverick 16. AWARDED TO: J Maverick 16. AWARDED TO: fb237 (2x), Leto (2x), J Maverick 16, Swamp, Pinto, Richard. AWARDED TO: pinto, Raider1, 5H1N0B1, G-UNTER, J Maverick 16, Leto, Richard, Swamp, XH, YV-187, Sierra, fb237, SP-AWN, Spectre, SWA-F18, mav, Dogers. AWARDED TO: pinto, Raider1, J Maverick 16, Leto, Richard, Swamp, fb237, Spectre. AWARDED TO: pinto (2x), Raider1, J Maverick 16, Leto, Richard, Swamp, fb237. AWARDED TO: pinto, Raider1, 5H1N0B1, G-UNTER, Ice-99, J Maverick 16, Leto, Richard, SNOWY1, Swamp, XH, YV-187, Sierra, fb237, SP-AWN, YV-LEGO, Spectre, SWA-F18, LUX01, mav, CHT0022, enrogue, Falcore, 0281-E, AFM12, Bravo1, Dogers, alvitop, WTF411, ZZ9PZA, G-MRNC, KIWI34. AWARDED TO: Swamp, J Maverick 16. AWARDED TO: Leto (1x V) (1x), Pinto (V), J Maverick 16 (V), fb237 (V), Swamp, Richard. AWARDED TO: Leto, pinto, J Maverick 16, YV-187. AWARDED TO: Pinto, fb237, J Maverick 16, G-UNTER. It's the end of the month and it's time for awards! Congrats to Pinto for receiving the Armed Forces Service Medal! For: obtaining significant results during the "Siege of Hammerfest" event. Plus, J Maverick 16 obtains the Air Force Recruiter Ribbon. For: recruiting "G-MRNC" in the community. As soon as hours get updated, probably more awards are coming. 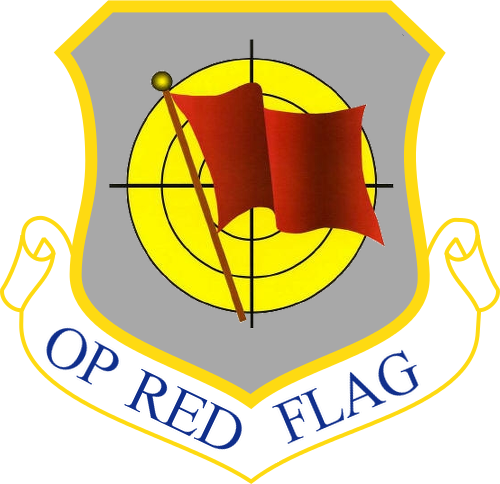 Congrats to: WTF411, ZZ9PZA, G-MRNC and KIWI34 for obtaining the Air Force Training Ribbon! For: flying hours with OPRF approved aircrafts. Another month passed and for now no awards are to be awarded to our members. Awards will be given shortly after the FG Festival ends. Alright folks, time to decorate some people over here! First of all there are the awards linked to an amazing FG Festival which happened last weekend. Congratulations to all the participants which took part at the offensive against the SIS for being awarded the Air Force Organizational Excellence Award: Leto, pinto, Sierra, J Maverick 16. And again for attending the Festival ops and join at least part of the relocation flights congrats to: pinto, Leto, Sierra, 5H1N0B1 and J Maverick 16 for obtaining the Air Force Overseas Short Tour Service Ribbon. A special thanks to pinto who is awarded the Air Force Special Duty Ribbon for "keeping up aircraft development, organize operations and providing resources for the OPRF Festival participants"; congrats! Also congrats to J Maverick 16 for attending his 5th OPRF big event and obtaining the Air Force Commendation Medal. And finally congrats again to J Maverick 16 who obtains the Aerial Achievement Medal for downing n° 7 OPFOR aircrafts during the Festival ops. That's all for now regarding awards until next time (or when flight hours will be updated). Please let me know if I've made errors or forgot to mention someone for awards without problems ;) . If you have any suggestions, criticism or whatever please write your thoughts over here. It must be interesting congratulating yourself in the third person. I mean no offense or disapproval at all. 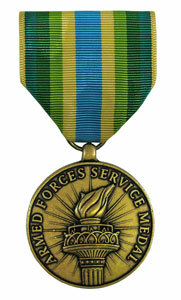 How are the more subjective awards (special duty ribbon etc.) kept fair, and what decision-making processes are conducted to determine their recipients? Thanks, and sorry if I am missing anything obvious. I don't deserve the Air Force Special Duty Ribbon for this time. It was Pinto that did all the dev work for this event, as in 100%. When I award decorations I try to stay neutral in everything. Regarding subjective awards, it's about what someone does. (Will explain better later). @Leto alright, I'll update as you say. First decoration round of 2017! After an amazing event yesterday and this morning, NATO team destroyed the depots and won it. All sorts of things happened, so all sorts of medals are going to be awarded, some for the first time. So first of all congrats to the winning team of NATO with members Pinto, fb237, J Maverick 16 and G-UNTER, who obtain the Air Force Outstanding Unit Award! Also thanks to all the people involved in the event which are Pinto, fb237, J Maverick 16, G-UNTER, Leto, Swamp, Richard and Yesrev who obtain the Air Force Overseas Short Tour Service Ribbon! Since the event happened in Canada, members of the winning team obtain the highest military award of the country for successfully defending it from threats. Congrats to pinto, fb237, J Maverick 16 and G-UNTER who are awarded of the Canadian Star of Military Valour. Being part of a NATO team means that also NATO decorations are allowed, so again congrats to pinto, fb237, J Maverick 16 and G-UNTER who obtain the NATO Meritorious Service Medal. Congrats also to Team Leader Pinto of NATO who assured victory to his fellow airmen, he is awarded the Defense Superior Service Medal. Again Pinto is awarded the Distinguished Flying Cross for conducting successfully critical ops during the event which are: tactical logistics, SR-71 recon mission, bombing raid on enemy territory. J Maverick 16 is awarded the Airman's Medal for conducting Air Superiority ops against the enemy even if with low fuel, minority and/or particularly damaged multiple times over the event which resulted in a tactical disadvantage of the enemy itself. J Maverick16's Air Superiority ops resulted in shooting down 12 confirmed enemy planes both fighters and tankers, which grants him the Air Medal. Also other team members shot down enemy planes, so they are all awarded the Air Force Achievement Medal. These members are: pinto (2 kills), fb237 (2 kills), Leto (unknown) and Richard (some more than 2). It was a long event (approx 7.5 hrs long) and many people attended most or even all of it, some better than others, so since the event ended well before the planned finish, a Bronze Star medal is awarded to: Pinto (V), J Maverick 16 (V), fb237 (V), Leto, Swamp, Richard. Out of the event, Swamp has reached 433 flight hours in OPRF planes, which gives him right for being awarded the Air Force Longevity Service Award! Medals are done for now, some are still being discussed and some of these are subject to change, so please ask me clarifications via PM here or on Discord about anything may be unfair, non-awarded or whatever. I try to take everything in account, sorry if I may do errors or whatever. Went through older forum posts and found this again after a long time. Would you guys like to have it revived or something? Maybe with different and less complex awards or something like that?